Over 400 members of the Wood-Ridge community came out to enjoy an outdoor showing of Dreamworks’ “Home” on Monday August 3, 2015. 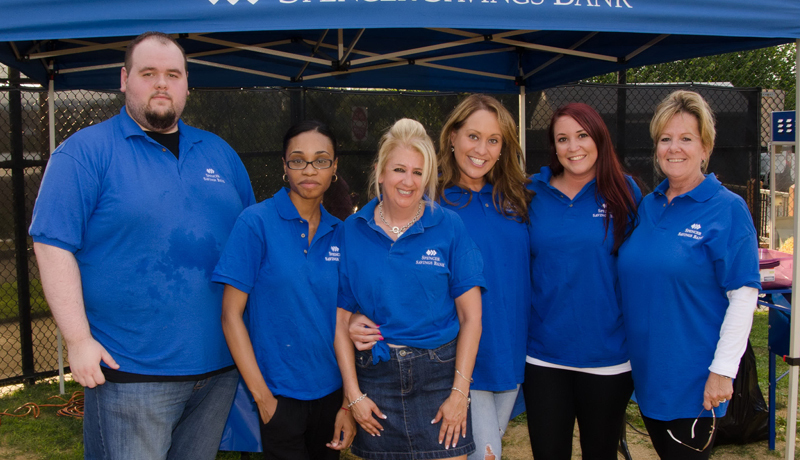 The event, sponsored by Spencer Savings Bank and the Wood-Ridge Public Education Foundation, was part of the bank’s Movies Under the Stars series. The family oriented event featured a DJ, food trucks, 50/50 raffle, prizes, refreshments and popcorn. The 400 in attendance included residents from Wood-Ridge, Moonachie and the surrounding area. The movie “Home” is about Oh, an alien on the run from his own people, lands on Earth and makes friends with the adventurous Tip, who is on a quest of her own. It was a big hit after its release earlier this year and was thoroughly enjoyed by all who attended this showing. The seasonal Movies Under the Stars series is presented each summer throughout towns in which the bank serves, often drawing hundreds of attendees. The next movie showing will be on September 18th at the Garwood Family Center Y Field and the featured film will be “Paddington”.